When I wrote about the StructureScan 3D announcement last July, I recall feeling a bit skeptical. But I was wrong. On-water demos have taught me that SS3D is much more than a visual gimmick. When I wrote about the StructureScan 3D announcement last July, I recall feeling a bit skeptical. Sure, the screenshots suggested that new users could more easily understand the 3D presentation of the sidescan data, but I wondered if they wouldn&apos;t go back to the apparently more detailed 2D presentation once they got a handle on it. But I was wrong. On-water demos have taught me that SS3D is much more than a visual gimmick. 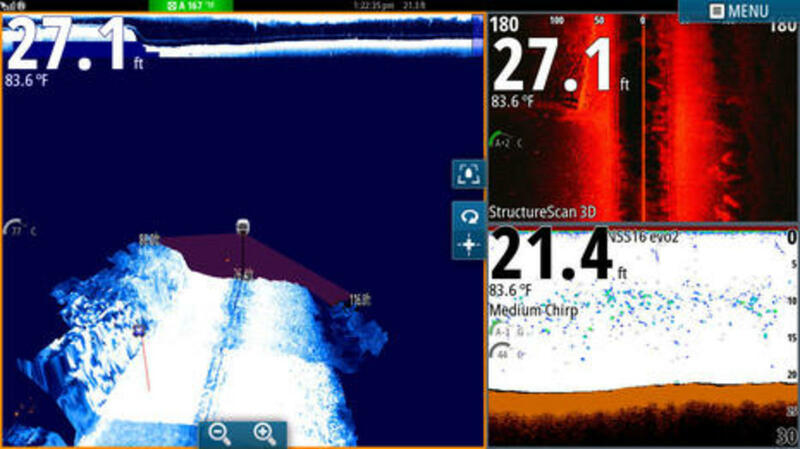 The 3D view can be really useful, especially for fishing, even though the new 3D transducer also produces the best 2D StructureScan imagery yet, plus there&apos;s some interesting and potentially valuable science going on behind the screens. Click the thumbnail image above for a full size screen showing StructureScan 3D at work running a major Fort Lauderdale channel last November. 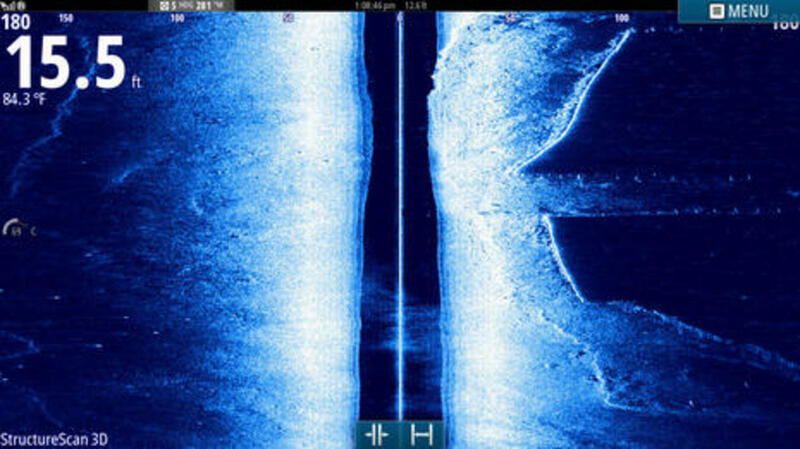 The bluish 3D image makes the steep left wall produced by dredging quite obvious, and you can also see the further away right wall starting to rise up. Meanwhile, the reddish 2D window based on the same transducer data is only showing the left wall and that might take a trained SS eye. 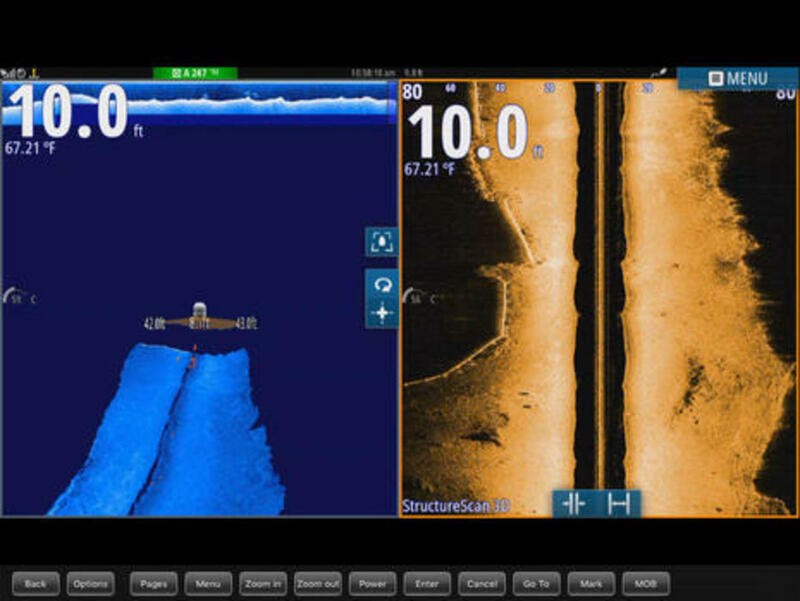 So in this case, the 3D is both easier to understand and more informative, and I haven&apos;t yet gotten to how SS3D can highlight objects in the water column like fish -- the red dot in 3D, maybe -- much better than 2D can. 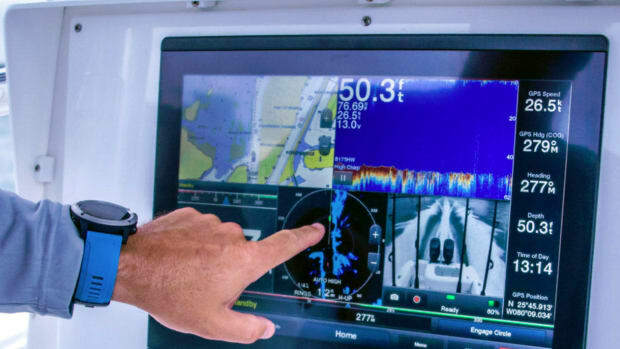 So far this technology is available for about $1,000 MSRP as a Lowrance StructureScan kit or as a Simrad StructureScan kit, and the Ethernet output of the black box is understood by many current MFDs from those brands. 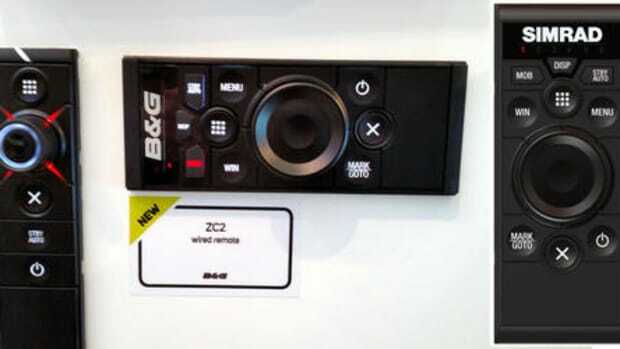 It seems quite possible that eventually MFD models will include the SS3D processing inside and thus the extra cost will only be the transducer. 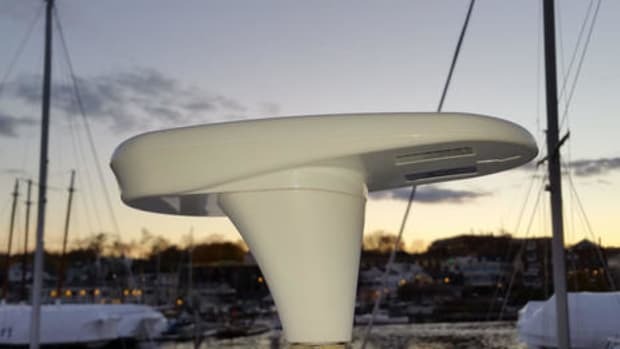 Currently there is no true through-hull SS3D transducer, but there is an optional plate that could make a bottom install like I&apos;ve done before easier. 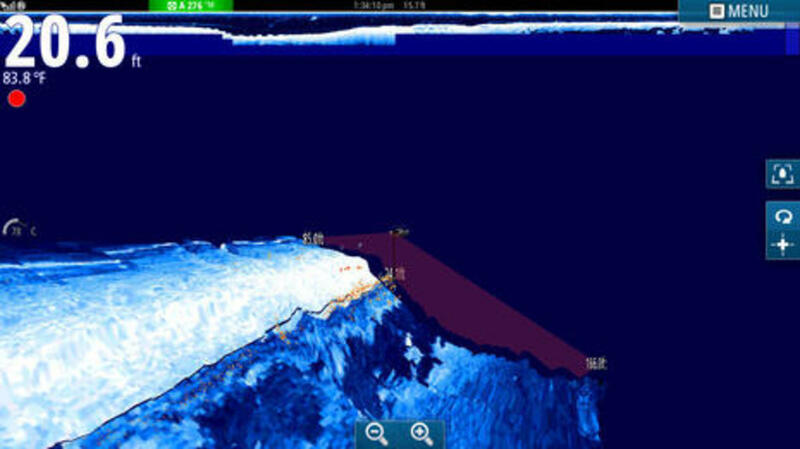 Here&apos;s another 3D/2D comparison, this time via the Simrad GoFree app running on my iPad during Navico&apos;s press event last week (good Chris Landry coverage here). While the default 3D view shown is a little too zoomed out in my opinion, it&apos;s still showing a few fish (or something) near our stern that don&apos;t show at all in the much more detailed 2D window. On the other hand, the fence-like structure on the left in 2D is the underwater portion of cottage bulkheads around Hawk&apos;s Cay Resort that might have showed up if we&apos;d zoomed into the 3D window (possibly along with lurking fish), but not to the same sharp pile-by-pile 2D precision. As I understand it the SS3D&apos;s improved 2D performance is the result of more and better sonar elements in the new transducer (though it only looks like a somewhat chunkier version of the manly SSHD model). However, the real magic this transducer enables is a technology called interferometry, with which the SS3D processing engine builds a 3D model of the underwater space. In other words, the 3D imagery is not simply regular StructureScan data draped over a bathymetry model something like 3D charting (which also includes a topographic model). In fact, if you get a demo or watch an SS3D video, you&apos;ll likely notice that the 3D rendering sometimes stutters a bit. 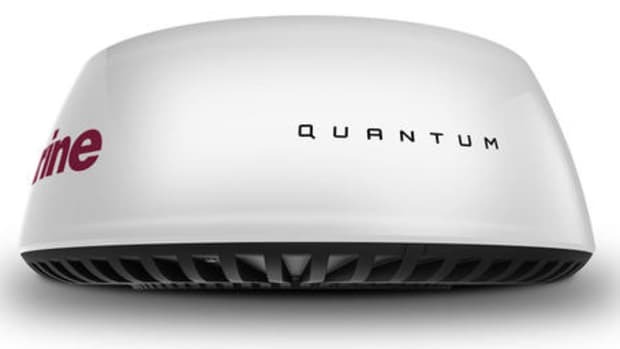 I believe it&apos;s because of the massive math involved in building a 3D model from multiple returning pings, which are now sort of received in reverse stereo. That&apos;s interferometry, or at least my vague grasp of it. The processing stutter explains the gap seen above between the blue 3D rendering and the reddish "Leading Edge" (beam pattern), which no doubt filled in a moment later and all at once. 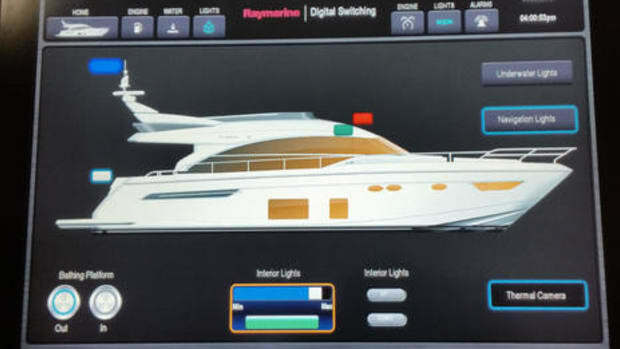 Another way to understand what&apos;s happening with SS3D is the fact that regular 2D sidescanning only knows the water depth under the boat. 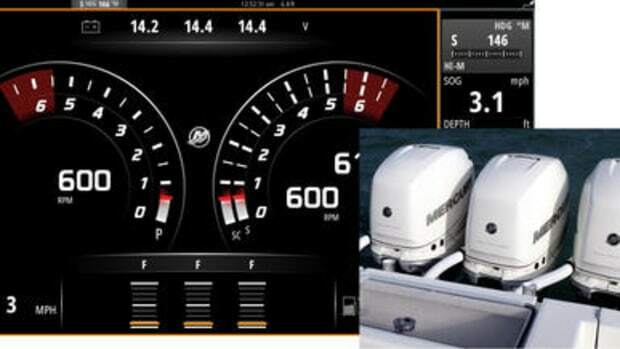 Some interfaces may guesstimate water depths 50 or 100 feet to one side, but all the processor really knows for sure is the distance of each return from the transducer. 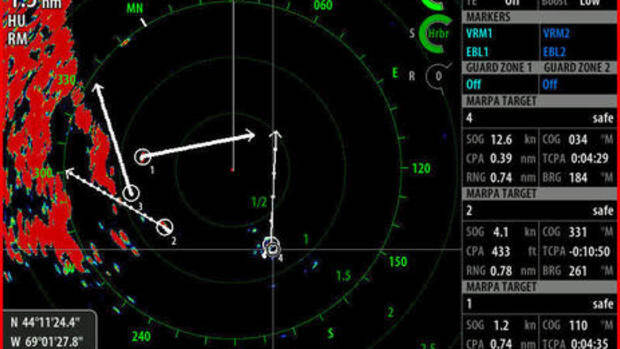 Interferometry does the needed triangulation, so the 3D waypoint depth value seen above is said to be quite accurate. 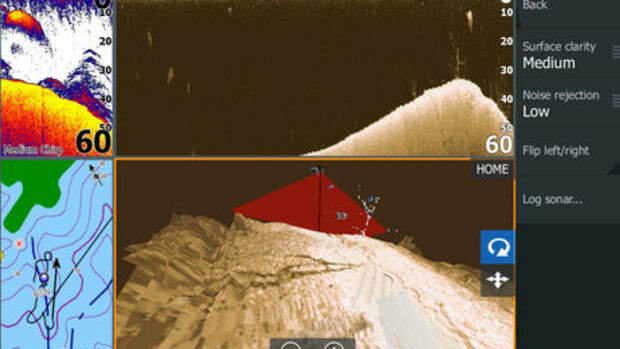 Navico isn&apos;t doing it yet, but this means that data collected by SS3D can potentially chart wide swaths of bottom at once when processed by Insight Genesis, an exciting prospect for crowdsourced bottom mapping. 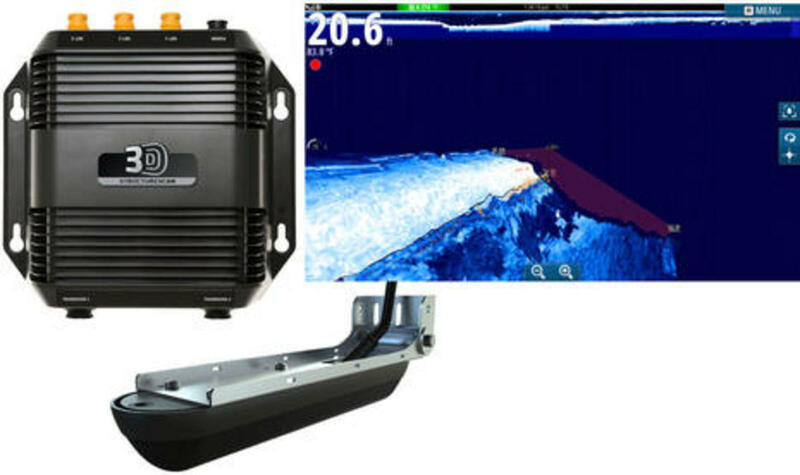 Besides curiosity, a good reason to probe the interferometry aspect of SS3D is that Garmin Panoptix is also building 3D bottom models and promising multibeam-like data collection, though working with distinctly different technology. And who knows what sonar exotica may next become possible even on modest size vessels, or how we&apos;ll sort them all out. But really all you have to do is get in the right spot with StructureScan 3D to see how useful the 3D view can be. 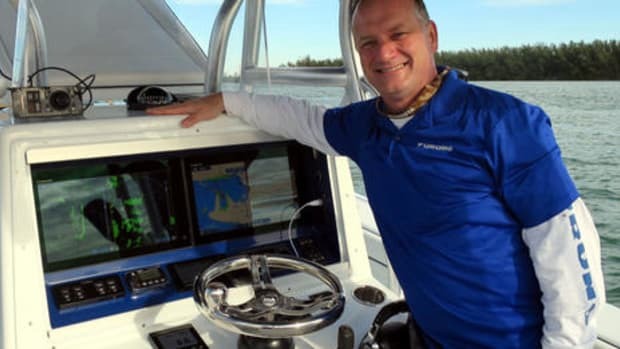 When I grabbed the screen below we were unquestionably marking at least bait fish along the south side of the main Port Everglades ocean entrance. 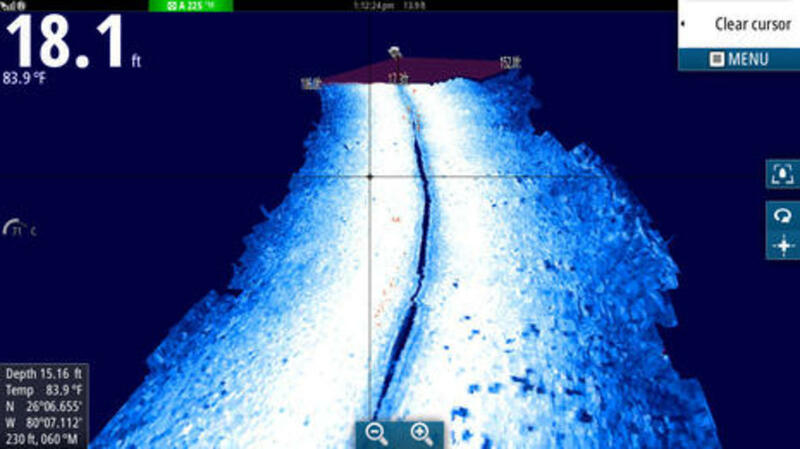 Even the still image suggests how the fish were clumping around dimples in the channel bank that probably sheltered them from the current, but that was totally obvious with the live 3D and got more detailed with successive passes. This is what you call "actionable information" and I&apos;ve rarely seen any kind of sonar present it so well.